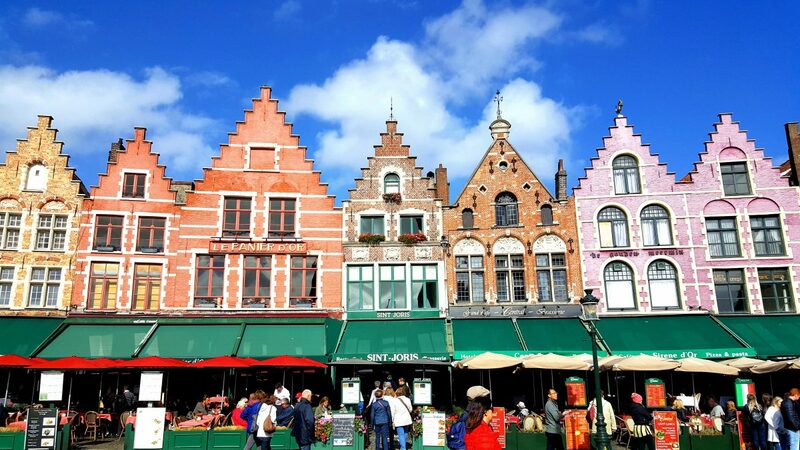 Snuffel Hostel is only 10 minutes on foot away from the Market Place, which is the main square in Bruges. This is the heart of the city. 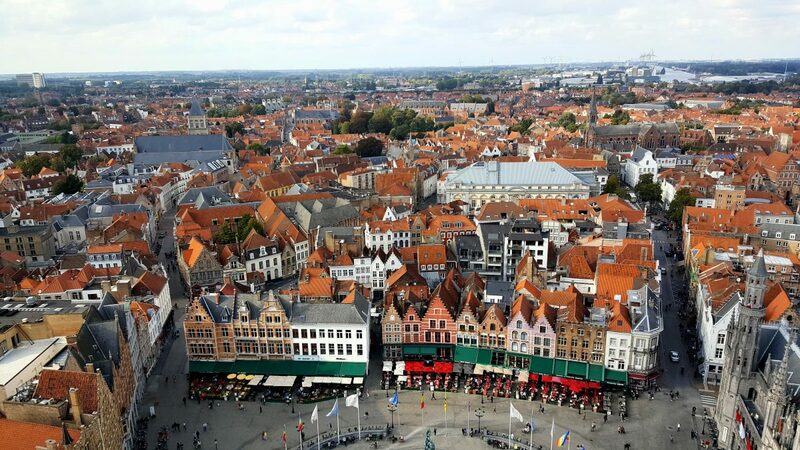 Here you’ll find the Belfry as well as those colourful buildings you see in all the photos of Bruges. And lots of chocolate shops! As a bonus, it’s a rather scenic walk too. If you are arriving via train or bus, it is a little bit of a walk, but because the city is so beautiful, I didn’t mind it at all. 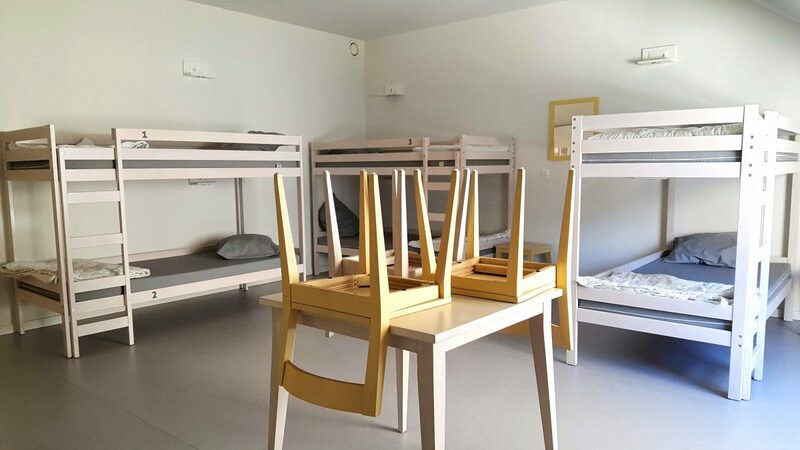 I had to really think for a couple of minutes, but I can honestly say that the dorm room at Snuffel Hostel is the biggest I’ve ever stayed in. 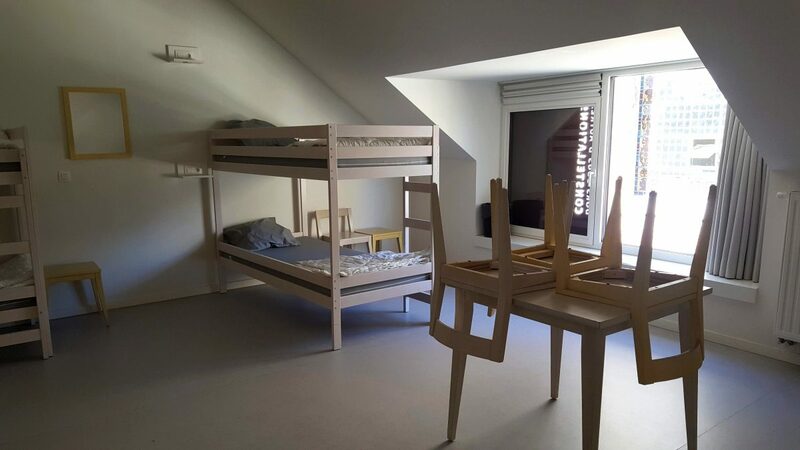 Apart from the size, the layout of the room is great. Let me explain: when you enter through the first door, you are in the ‘locker room’. 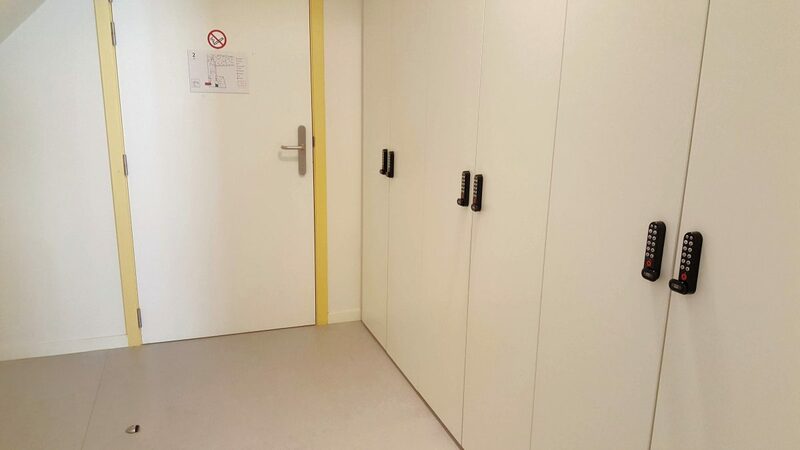 Each person has a huge locker, more like a closet. It locks with a code and you can find the instructions on how to use it inside of the locker. It’s really easy to use once you know how it works. You then enter through a second door to reach the beds. Because the lockers are separate from the beds, the dorm room is exceptionally quiet. No one rummages through their backpacks or suitcases in the middle of the night or early in the morning. This means the sleep quality is great! I had a peaceful night’s rest which I so desperately needed. 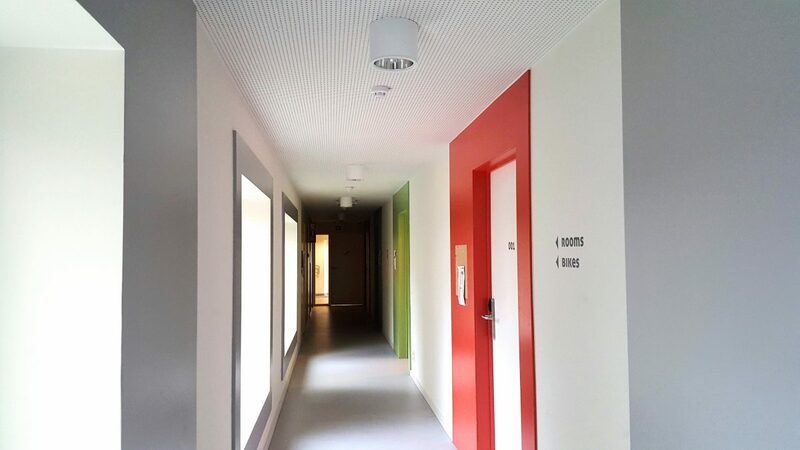 The bathrooms are completely separate from the rooms and distributed throughout the floor. 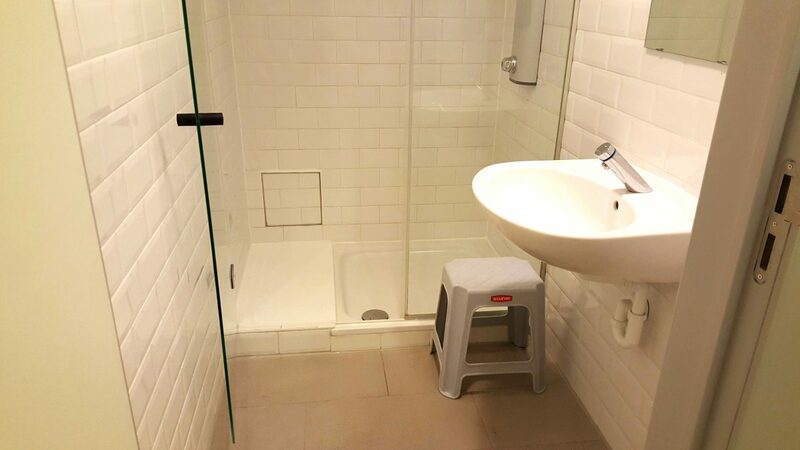 Toilets and showers are also separate. The showers are those push showers that runs for about 30 seconds, then the water stops and you have to push the button again. It’s a little bit annoying, but I can see how it saves water and time. Breakfast is included in your stay and served between 08h00 and 10h00 in the morning. As far as hostel breakfasts go, this one is, although small, pretty good. 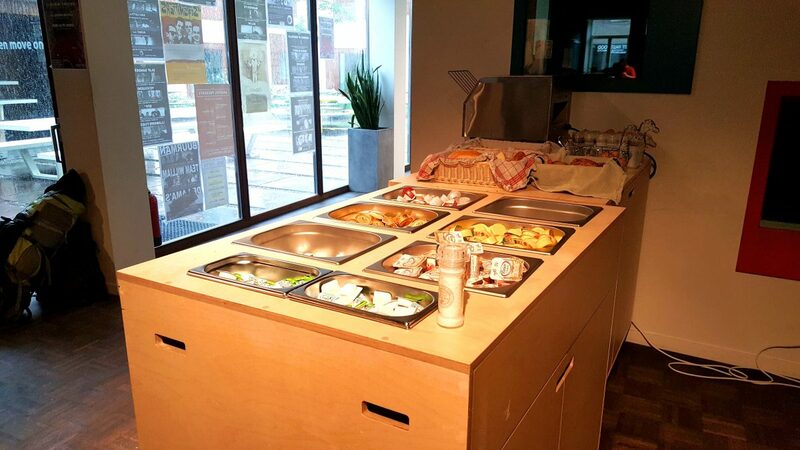 In the buffet you’ll find fresh fruit (apples and oranges), coffee and juice, cereal, yogurt, hard-boiled eggs, and a variety of bread with spreads. 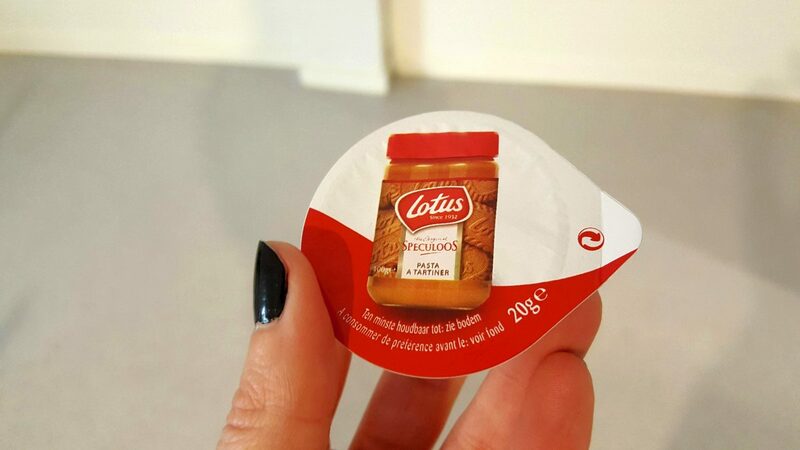 Here I discovered Speculoos spread for the first time. YUMMY! I’ve been in Europe for 18 months now, why am I only discovering it now?! 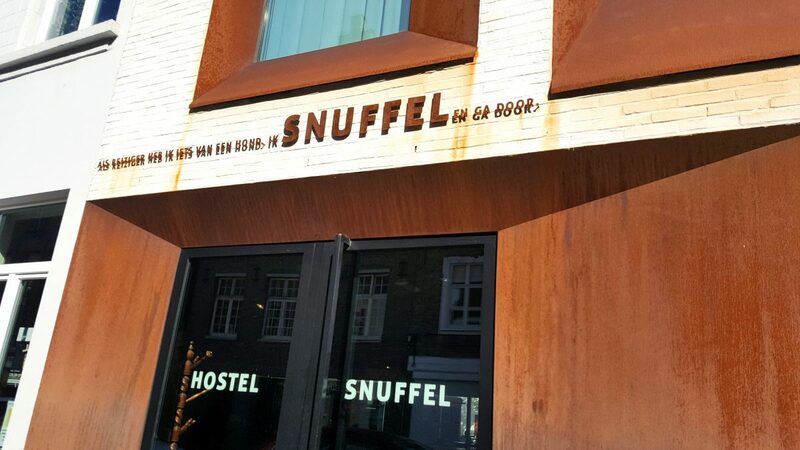 I enjoyed my stay at Snuffel Hostel, it ticked all the right boxes for me. Good reviews online. Check. Great location. Check. Big dorm rooms. Check. A good night’s rest. Check. Breakfast included. Check. 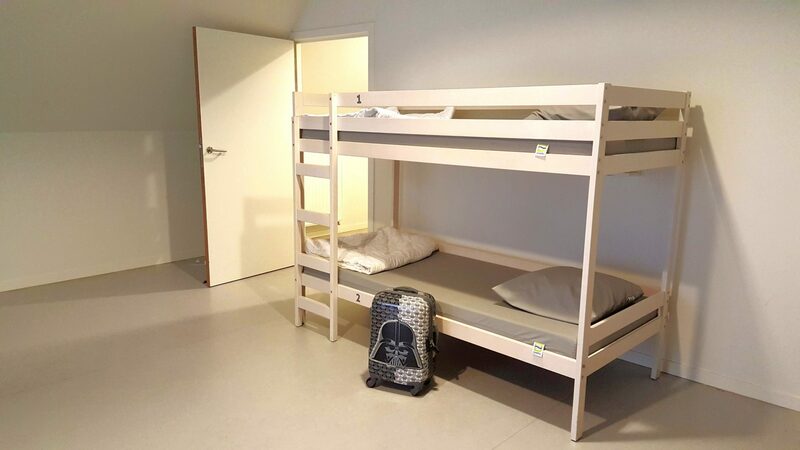 If you’re traveling to Bruges and looking for budget accommodation, look no further than Snuffel Hostel.